David Donachie is a gamer and writer, creator of the RPG Solipsist, and has contributed to such games as Mindjammer and Legends of Anglerre. Hello David! Please introduce yourself and tell us something about how you fell into the world of tabletop gaming. Hi, Jonathan. I'm David (Morvryn, Sylvanus, Keith) Donachie. I'm 44, from Edinburgh in Scotland, and I write, draw, program, and design games. I first encountered tabletop gaming when I was a little boy. My parents had French friends, and their son was a good deal older than me, but not so much that we couldn't relate (I guess he was a teenager, but at the age of nine or ten that was infinitely old). One time he brought over a French copy of Call of Cthulhu, so this must have been in the early 80s, perhaps '83 when 2nd Edition came out, and showed it to me. I couldn't read the book, and I certainly didn't get to play, but something about the whole concept of Roleplaying set my mind on fire. From that moment on I wanted to play Roleplaying games. My first actual experience was at a summer camp, probably a couple of years later. Some older kids were playing Dungeons and Dragons, and I wanted to take part. They weren't keen, but the DM was a camp counsellor, so I was allowed to take control of their retainer, a kid with no skills or character sheet. I was so excited! The other players handed me the lantern to carry ... and then abandoned me in a wood where I was eaten by wolves. Oddly enough that didn't put me off. 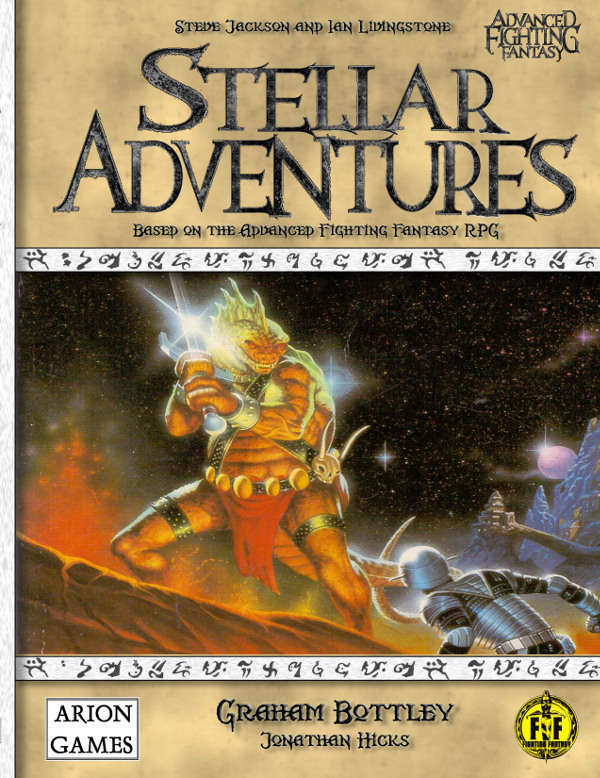 You’ve got a decent list of game writing credits; Starblazer Adventures, Mindjammer, Legends of Anglerre… how did you get into game writing? 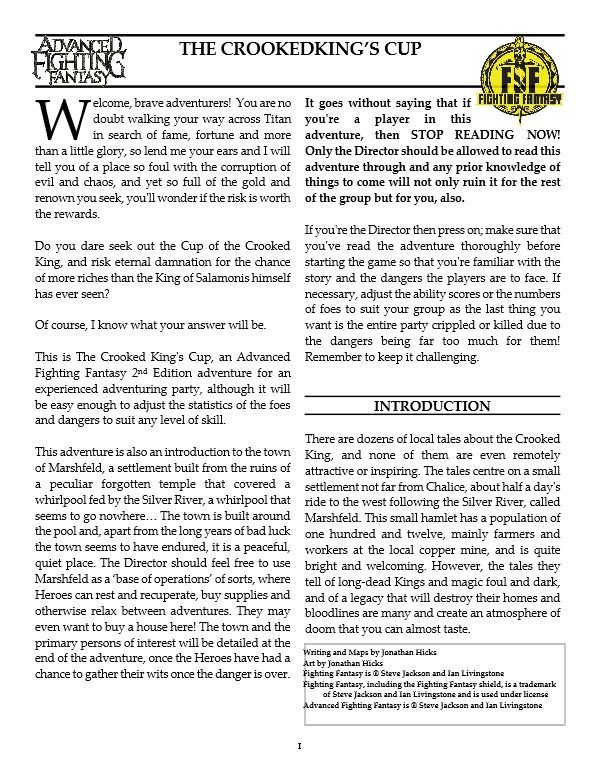 When I came across the fifth book of Dragon Warriors in a bookshop near my school (so this would be a couple of years later than the D&D anecdote), I had a gaming system to examine close up for the first time, and right away my first instinct was to write my own — so you could say that I've been into game writing as long as I've been into gaming. That first game was called Termite, and featured talking ants, termites, and squirrels, as player characters. I made my Dad play that one, and then went on to run it for others, both at school, and at University. Over the years I wrote and ran a bunch of other games, before eventually sliding over into a more typical pattern of creating campaign worlds instead of game systems, but I always stayed interested in the world of game design. 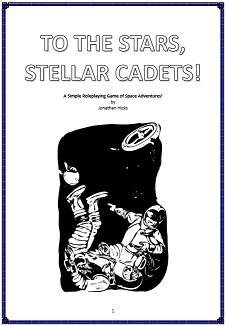 I had lots of friends who were involved in the Indie games movement, and kept an eye on games forums, so I heard about the idea of a game based on the Starblazer comic well before it got going. Now Starblazer was another childhood love. I used to take my pocket money all the way to Waverley Station bookshop, on the other side of town, to buy my copies — two a month — since that was the only place that sold them. The SF and Fantasy stories in Starblazer were a big influence on my writing, and also on my development as an artist. My first big art hero was Enrique Alcatena, the Argentinian comic artist, who I knew only from the pages of Starblazer. I actually wrote him a massive fan letter when I was young, not realising that he lived on the other side of the world (Starblazer didn't publish artist names, so I didn't know who I was writing too, let alone where he lived), and then was blown away when a 20 page reply full of art tips came back from Argentina many months later. So when I heard that there might be a game featuring the Starblazer art and IP, I wanted in. I'd met Chris Birch at Gaelcon, so I got in touch offering my services as an artist, a writer, whatever it took to get involved. In the end I did a few art pieces, and a chapter on the various possible game settings that the SciFi issues of Starblazer offered. That work led naturally into the followup game Legends of Anglerre, which — if anything — I was even more excited to work with, as it featured Mike Chinn, who had written my favourite (Alcatena illustrated) issues of all. In the end I didn't actually do anything in conjunction with Mike, but I did do some major art pieces, and again a big settings chapter, which led to even more work on the follow-up Legends of Anglerre Companion. It also led me to work with Sarah Newton, the incredibly prolific (and competent) creator of Mindjammer. As a result when she was putting together a writing team to work on her Kickstarter products a few years later she tapped me to do some of the work — Mindjammer : Children of Orion being the most significant result. What did you bring to these games? Seriously, I think a better question is what did working on these games bring to me; the answer being a degree of professionally my game work didn't have before, a wealth of contacts in the gaming industry, and the inevitable improvement in writing that comes of having a professional editor giving your prose a good kicking. I'd like to think that I also brought something of my own fervid imagination to these games, something that you can see best in the ghost worlds of the Orion nebula, or the coherent theology I constructed to match the scattered glimpses that Mike Chinn created for Starblazer, but it's hard to let my imagination truly rip when I'm working in someone else's universe, who knows what I might do to it! 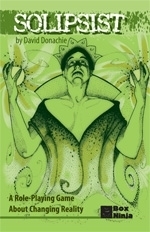 Your diceless role-playing game ‘Solipsist’ has been out for ten years now, and it’s still available on drivethrurpg. What were your inspirations for creating this game? Now there's a game where my imagination wasn't pulling punches! 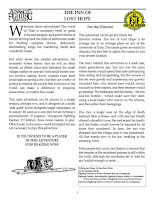 Solipsist began life as a 24-minute 'design an RPG contest' entry at Conpulsion back in 2006. The contest gave you a selection of random words to work with, and mine were (I think) Reality and Paramecium. From them was born the idea of a world where reality itself was just an illusion created by microscopic life-forms and the subconscious desires of the people who lived inside it. It was inspired by University philosophy courses, 2000ADs Indigo Prime, the Heretics RPG, my own impressions of Mage: The Ascension. More than that, it was a game about the concept of roleplaying and telling stories in general, a sort of meta-rpg, if you like. The characters in Solipsist consciously create their own stories, and their own rules. In fact that is Solipsist's only rule — If you don't like the rules of the game, change them until you do. In that way a game of Solipsist moves from genre to genre, or even from physical law to physical law, as play progresses. Of course the GM gets equal powers to cheat out the sort of game they are running too. It can be a wild ride. Solipsist also owes a huge debt to my friend Gregor Hutton (of "Best Friends" and "3:16" fame). Gregor encouraged me to write the game, and helped me playtest, layout, and publish the thing. The first edition was produced through his imprint, Box Ninja. You’re currently working on a new game ‘InBetween’, about the ‘tiny Hylin mice that live unseen in the Between — their name for the spaces between the walls of our houses’. How did this game come about? All my answers seem to be about ancient history, so here's another tale from the past. A long time ago I ran a website called "The GEAS Village". 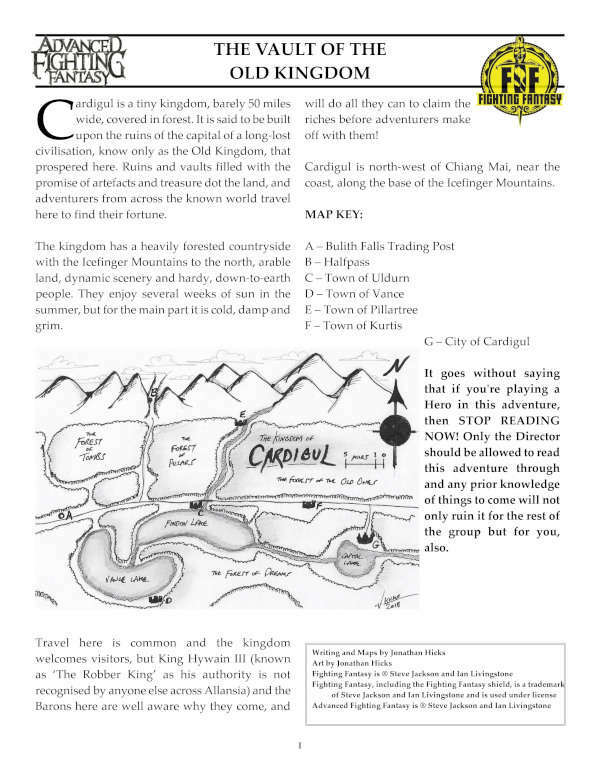 At that time (the early 90s) the Village was one of the foremost RPG websites out there — this was before proper forums and the like — with live RP boards and a wealth of material. 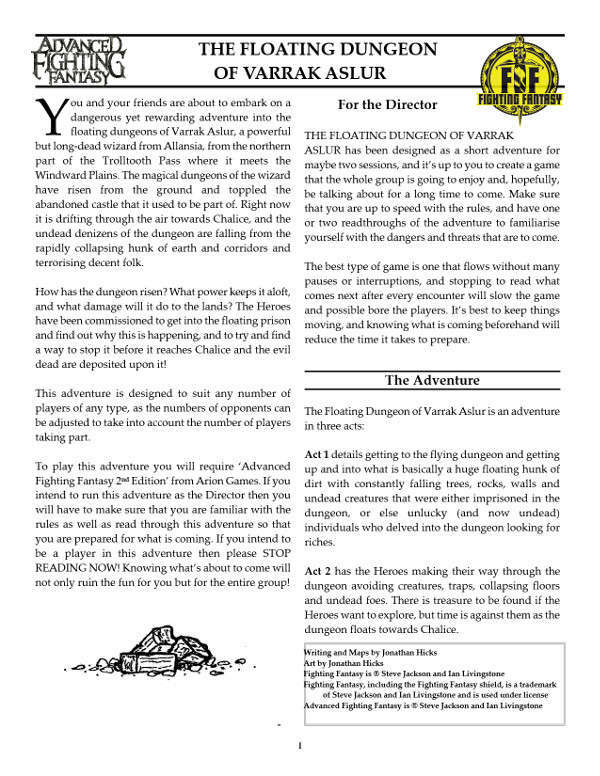 One of the features was a grandly titled "Encyclopaedia of Roleplaying", full of articles on game mechanics. Back then I had this cute idea to hide an actual game in the rules examples, and InBetween was that game. The character generation system was given as the examples in the character generation article, the main mechanics were in the dice-rolling article and so forth. I think that's where the idea of having the game be about mice living in human houses came from, because they too were hidden. Of course the GEAS Village passed away, but the game stuck in my mind, just waiting for its time. This year, after my short story collection was published, I was nosing around in my old files, and there it was, a game full of cute mice waiting to see the world. Now, I didn't keep a lot of that original game. There was a strong First World War vibe about the original, all barbed wire and trenches, which I discarded, and the system got a complete overhaul. Instead of the vague d12 roll-under system of the original, I took the Dice Pool mechanic out of another game I wrote "Eekamouse in Atlantis" and transplanted it to InBetween, which has also gained a slightly gentler, tribal, vibe, that you can hopefully see coming out in the art. 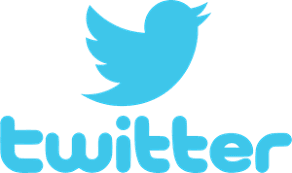 When can we expect to see InBetween ‘in the wild? Good question, and the answer is I am not certain yet, but hopefully before the end of the year. I've just had the first proper playtests, and run the game at a convention for the first time (and great fun was had in the process), which threw up lots of things to change, as first playtests usually do. 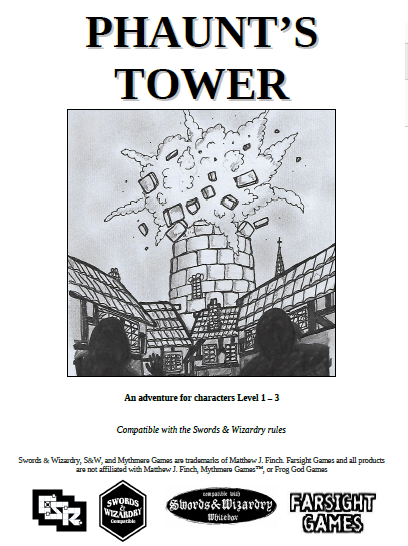 I'm in the process of turning that into something that I can send out to a few trusted people, and then I'll be producing an open playtest packet, so if anyone reading this is interested in doing some playtesting for InBetween drop me a line, and I'll get back in touch when the pack is ready. You’ve also released a book of short stories and flash fiction, ‘The Night Alphabet’. What was the driving force behind this book? I've always written fiction as well as designing games. 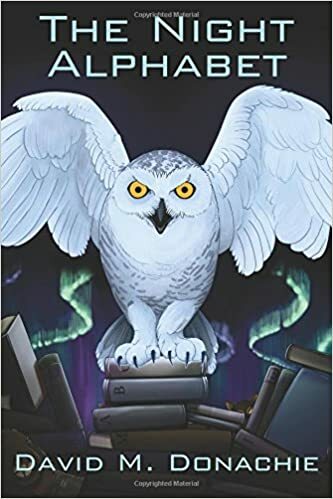 When I was younger I wrote a lot of short stories, but like many fantasy-reading writers with aspirations I transitioned away from those into weighty fantasy novels. Each manuscript would take years, and then go nowhere, either because I failed to find representation for them or, most often, because I lost faith in my own book by the time I was finished. Over the years I wrote less, and drew or gamed more, because somehow those things were easier to be confident about. A few years back I decided to try another novel. This one (it's called The Drowning Land), took two years of full-on writing and research — it's set in the middle of the mesolithic, 8000 years ago, so I spent a lot of time reading scientific papers, corresponding with re-creationists, and visiting dig sites. Once it was finished I hit the same old roadblocks. I lost faith in the work, I reacted badly to critique, I didn't find an agent, and so on. So for the first time in twenty or more years I went back to short fiction, and found it much easier. Writing short stories (and as you say, some of my work is very short indeed) meant that I didn't loose faith in them, and didn't react badly to critiques, because I was less precious about them. I rediscovered my love of the short form, which had been born out of a childhood of SF anthologies, so I kept on writing. It was actually my wife who suggested putting some of the stories together in a book; the alphabet style was her idea. After that it was only a matter of finding a theme — dreams and nightmares were already a strong part of my writing so that was easy — and producing enough material that I could throw away the bad stories and still fill the book. Right from the start I knew I'd be self-publishing this one. I have a number of self-published friends (a lot more now that the book is out), and everyone told me that it was the way of the future. What they didn't tell me was that all the real work in the wold of self-publishing came after the book was out, in the relentless drive to promote! What else can we expect to see from David Donachie in the future? In the short term you'll be seeing InBetween and, all going well, a companion fiction volume that I am tentatively calling "Mouse Tales from the Between" (or maybe just Tales from the Between). I also think it very likely that there will be another volume of short stories in the not to distant future, probably featuring a smaller number of stories than The Night Alphabet — I've written one longer story already and may continue in that vein. I'd also like to think that people will see The Drowning Land in book form. Ideally it will get snatched up by some agent and come to you through an established imprint, but I'm not ruling out going down the self-published route with that as well. Beyond that ... anything could happen!